Start Your Career in Bridal Consulting & Wedding Planning Today!  Your Perfect Day is current looking for creative, passionate and dependable people who are interested in pursuing a career in event planning and wedding planning. We have opportunities throughout Ohio, including in Toledo, Columbus, Cleveland and Dayton, and we have an incredibly busy schedule, with more weddings being added every day. Part-time and full-time jobs are available, with competitive pay, opportunities for training, education and advancement within the company, as well as the joy of working with people to help create the perfect wedding day. Share in the experience and the memories, and create your own as part of the Your Perfect Day wedding planning and consulting team. Fill out the form below to receive more information about our current openings and how you can become a part of the incredible wedding planners at Your Perfect Day. We look forward to having you join our incredible team of organizers, event planners and wedding designers!